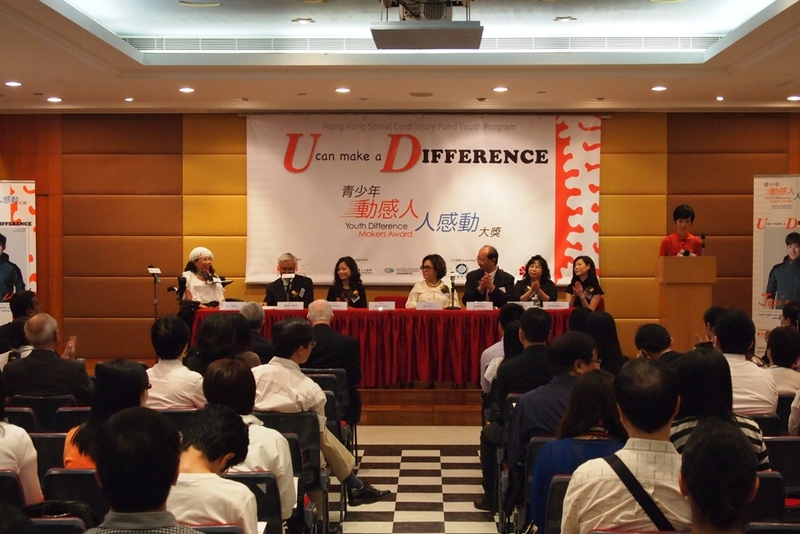 The press conference was successfully held on September 27, 2011. Artist Mr. Aarif Lee was designated to be the YMDA ambassador encouraging schools and students to be more aware of SCI for prevention and actively participate in the YDMA scheme. TWGHs S. C. Gaw Memorial College, one of the schools participating in the scheme with a whole-school participation, organized a Kick-off Ceremony of the Award on 12 December to launch the worthy cause of "being a Difference Maker".